The InnerSight Assessment Experience consists of an online interest and preference inventory resulting in a personalized InSight Guide® booklet which is the foundation for a 3-hour, in person, group interpretative experience. By self-validating their personal interests and preferences for working, learning, leading, risk-taking, and team orientation, participants are equipped to explore occupations of people who are satisfied in various occupations and share the participants’ interests. The InnerSight Assessment Experience continues when participants meet with their case managers to begin Next Steps planning in the InSight Guide booklet based on their self-validated results. Case managers who work with the youth complete the InnerSight Experience and training in “Facilitating the Journey”. “Facilitating the Journey” training provides case managers with the simple skills needed to engage the participant in a meaningful discussion of their results and use them as the foundation of the individual service plan. Each InnerSight Experience session is evaluated by the participants. Their ratings provide continuous feedback on characteristics of the Experience from the InSight Guide booklet to facilities and the accuracy of their results. In addition, they are asked to respond to three open-ended questions regarding what they liked, what they would change, and any additional thoughts. These personal responses provide a rich source of qualitative information for understanding in participants’ words how they were impacted by the Experience. Moore and Gorman (2009) observed; “Policymakers brought this focus on performance to the creation of the Workforce Investment Act (WIA) in 1998. WIA, which replaced the Job Training Partnership Act (JTPA), established 17 performance measures to drive program performance.” They go on to observe that most of the 17 metrics were for labor market outcome indicators, such as changes in participant earnings, rate at which participants are placed in jobs, etc. Moore and Gorman identify the profound impact of demographics on WIA performance measures. They go further suggesting “there is a need for researchers to undertake more nuanced studies of the connections between training and labor market outcomes in WIA, with carefully controlled studies to identify the types of participants and types of training most likely to lead to successful outcomes.” (p. 394) This suggests a need for providers to understand what program elements, assessments, or experiences have a positive impact on participant’s performance on the common WIA metrics. Research has primarily focused on program performance, yielding discussions on topics such as the importance of the employer network, career demand, and issues of program integration, curriculum and process. All of these focus on what is “done to” the participant and rarely on what is “done with them”. With the exception of Moore and Gorman who examined the impact of demographic characteristics on program performance measures there has been virtually no research examining the impact of program elements offered by providers on WIOA performance indicators. This study presents an analysis of a robust population of WIOA participants from a large diverse city exploring the relationship between the participant’s program assessment experience and subsequent performance on WIOA common measures. a % is the rate of performance on the outcome. 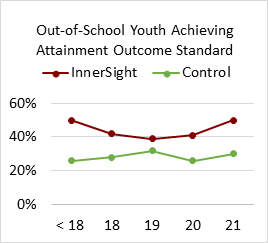 The statistical findings regarding the InnerSight Assessment Experience provides evidence of a positive difference but does not shed light on how the Experience is perceived by youth. Participants’ feelings and descriptions of the Experience were collected in 1539 written statements shared on the youth evaluations of the sixty-eight Experience sessions. These statements offer insight into their perceptions. Participants like that it is all about “me”. Many of the statements refer to “myself” such as, “Learning things about myself that I can describe in an interview.” One youth said, “I enjoyed the clear and concise approach of the InnerSight Experience, to be able to decipher myself.” Another shared, “I liked how it gave very good info about myself that I know subconsciously, but this put it into words that I couldn’t do myself”. A third wrote, “That I discovered my passion (nursing).” This is perhaps the first time they have been in a class that literally maintains a focus on them. It is interesting to note that some 80 statements refer to the certified InnerSight Guides who facilitate the Experience. Youth shared the following: “I loved the communication and even though it was a large group, the topics and session as a whole was very personalized. The presenters were very helpful, friendly and genuine.”; “I liked how the instructor was clear and had a happy personality. It made the environment and the entire presentation much more enjoyable.” and “I liked that it was a very friendly environment. The speaker was enthusiastic and willing to help and explain.” These observations emphasize the importance of the facilitators’ and subsequent case managers’ effective personal interaction with the youth. Many statements referenced the materials themselves including the InSight Guide booklet that is personalized for each participant. Some of these statements include, “I liked the booklet, it contains really useful information that can be used along our educational paths, job hunting, and to see our preferences and interests.” They shared their views on the accuracy of the results, “The inventory results were very accurate, helped me learn more about my career and I’m 100% sure that physical therapy is what I want to do.” Some identified new skills they acquired, “Learning more about the qualities that make (me) who I am and getting an insight on what other possibilities I can attain.” and “I think I’m more prepared to talk to employers.” Observations such as the above reinforce the engaging and personal aspects of the materials. They actually put participants in the process and bring the Experience alive. Policy makers, and especially workforce investment boards, need to assure that data elements are created in their performance systems to facilitate the study of service level program impact on outcome performance. There is a need to move beyond WIOA performance measures to examine if what is done to, for, and with the participant increases the rate of performance. 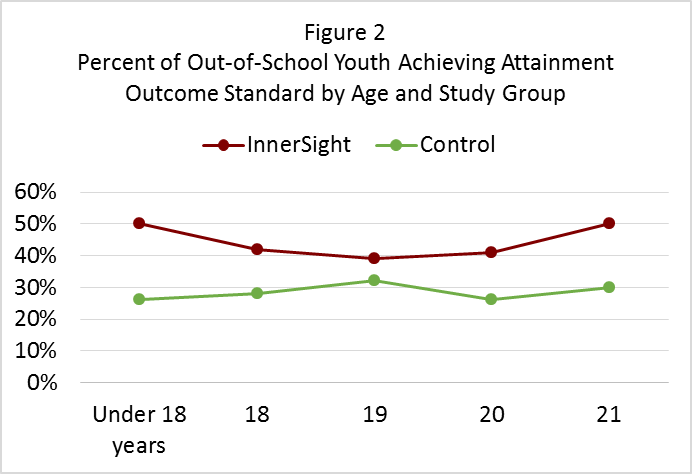 Age of participant has been found to produce an effect in studies of both youth and adult performance on WIA and WIOA program outcome measures. This suggests a need for policy makers and program leaders to consider this in the development of service strategies as well as individual service plans. Effective use of assessment results is a powerful building block for establishing rapport, engaging the youth and creating personal pathway to success. When participants engage and validate assessment results it places them in a position to make better choices regarding education, training and career options. It builds a sense of personal ownership in the Individual Service Plan and most importantly—they feel it wasn’t done to them. WIOA policy makers will want to understand how this is accomplished by their service providers. Professional interpretation of Assessment results, when integrated with case manager’s continuing work with youth on Individual Service Plans, creates a personal bond magnifying the personal connection making the service experience all about them and likely contributes to persistence. Policy makers need to be aware that Assessment has often been used ineffectively. When professionally guided on how to use and apply their own assessment results, participants engage and become developmentally productive. Statistical evidence while standing alone does not tell the whole story. Participants in their evaluative statements emphasize their appreciation for what they learn and that they are invited to fully engage in the process. 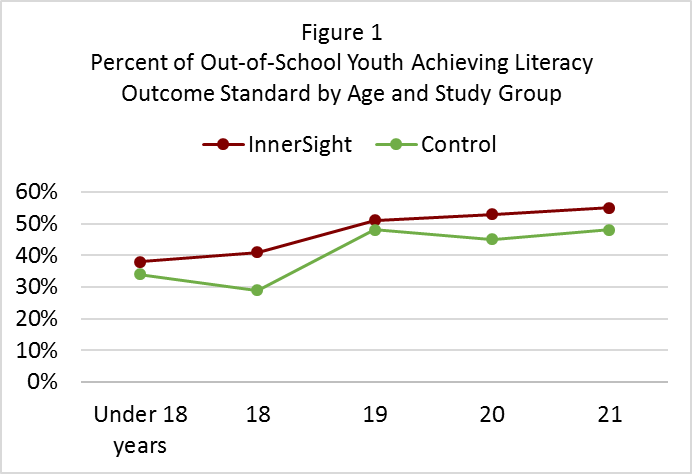 This suggests that programs need to move beyond transactional processes when working with youth. Squares df Mean Square F Sig.